Was Africa represented during the 1945 San Francisco Conference on International Organization? - Ask DAG! 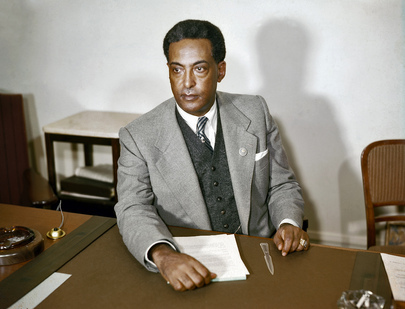 Was Africa represented during the 1945 San Francisco Conference on International Organization? Documents of the United Nations Conference on International Organization (UNCIO) - San Francisco Conference Documents, 1945, document no. 639 G/3 (2) pgs 5-94 (attached) lists delegates and officials from these four countries-- (Egypt –pg 32, Ethiopia, pg. 34, Liberia, pg. 44 and Union of South Africa pg.60) A complete set of these documents is available in print version in the UN Library under call number: UNX.341.13 U51 and full text in the UN Library catalogue (UNBISNET). More information on the delegations to the conference is available from the 1946-1947 UN Yearbook and the UN website history page -- "About the United Nations-- San-Francisco Conference"